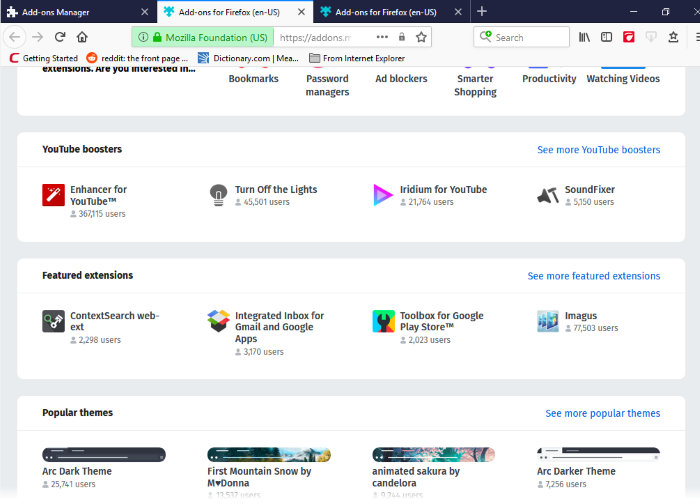 Click 'Find more add-ons' at the bottom of the page to visit the Mozilla add-ons page. Click 'See more add-ons!' at the bottom of the page to visit the Mozilla add-ons page. You can search for a particular add-on or browse through the add-on categories. Each add-on comes with a brief description and you can also read reviews and comments from fellow users. Once you have chosen your add-on, click 'Add to Firefox' then click 'Add' at the prompt. All Firefox extensions are compatible to IceDragon. The add-on will be downloaded and a notification of the successful installation will be displayed. Some add-ons may require your browser to be restarted for the installation to take effect. If it prompts you, click 'Restart Now'.